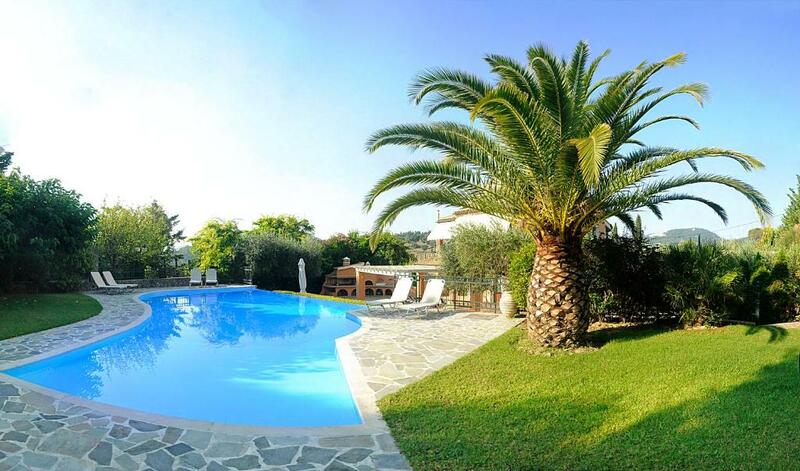 Located in Agios Ioannis, Villa Anna provides accommodations with a private pool and private parking. The property is 2.7 miles from the Aqualand and features free WiFi. The vacation home features 1 bathroom, a flat-screen TV with satellite channels, a dining area, a fully equipped kitchen, and a terrace with mountain views. The vacation home has a seasonal outdoor pool. Villa Anna has a grill. The nearest airport is Ioannis Kapodistrias Airport, 5 miles from the accommodation. This holiday home has a balcony, bathrobe and air conditioning. Villa Anna is a luxury villa with very elegant decoration , which has five double bedrooms and can sleep up to ten guests. The villa arrangement is split between the main villa, which has three of the double bedrooms, and a self contained apartment “The Sail Loft”, which is made up of two double bedrooms that branch off a large open plan kitchen/dining area. The downstairs area of the main villa is open planned, with a spacious dining and lounge area and a large kitchen. 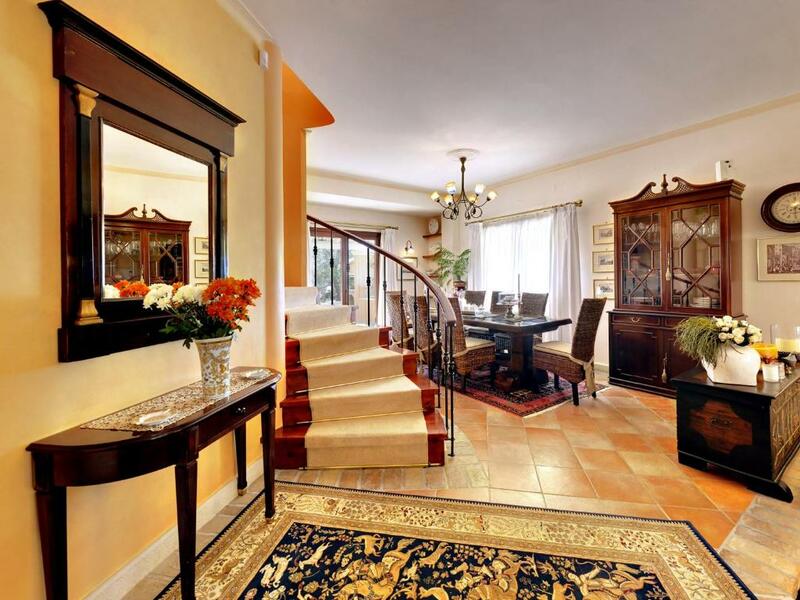 Upstairs includes the three bedrooms; the master bedroom over looking the pool and outdoor dining area, as well as the two double bedrooms with en suite bathrooms. 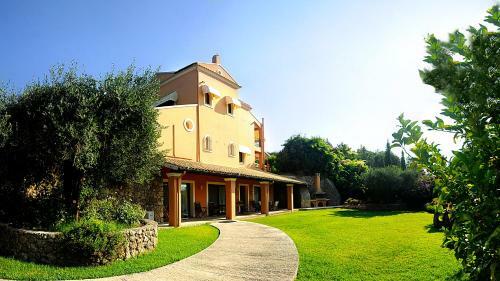 The rear of the villa boasts a large pool area, BBQ and outdoor dining facilities that are perfect for al fresco dining. To compliment the pool there is an outdoor shower, toilet and changing room. However, the real beauty of Villa Anna is in the 4,000 square meter surrounding gardens, which have been designed to maintain the privacy that a rural location is able to offer.The location of the villa is ideal as it gives you the oportunity to be close to Corfu town only 8km and very close to Glyfada and Konogialos two of the most beautiful beaches. We are a couple both involved in tourist business for many years also family business is Art Hotel Debono in Gouvia and Corfu Yacht Yard in Corfu town . House Rules Villa Anna takes special requests – add in the next step! 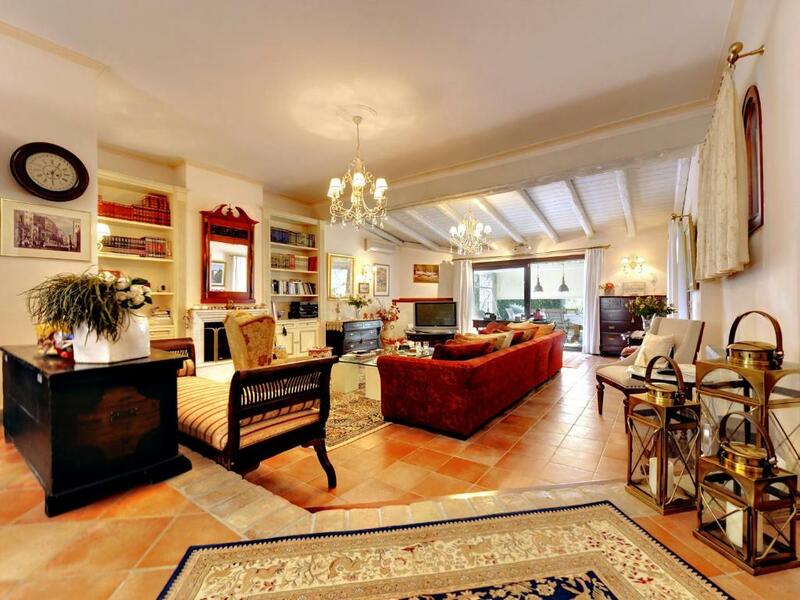 Villa Anna accepts these cards and reserves the right to temporarily hold an amount prior to arrival. Please inform Villa Anna of your expected arrival time in advance. You can use the Special Requests box when booking, or contact the property directly using the contact details in your confirmation. We need at least 5 reviews before we can calculate a review score. If you book and review your stay, you can help Villa Anna meet this goal. 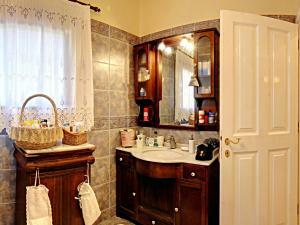 Villa Anna is equipped with all necessary items for a comfortable vacation stay of a family or two. 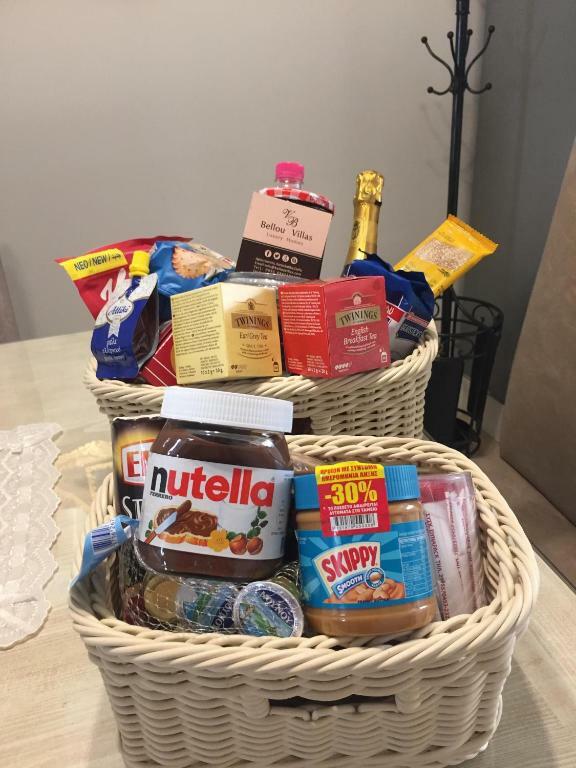 The host filled up the kitchen with breakfast products, fruits, drinks... a great surprise. Swimming pool is very clean and fitted for families with young children.